A great rivalry brings real hate. It doesn’t matter where each team is in the standings and it doesn’t matter what form both teams are in. A great rivalry brings two teams together and the only thing they want to do is beat the other. Include the fact that both stadiums are about a mile apart from each other and that’s the Merseyside Derby. The 233rd edition brought that. Despite not winning a derby since October 2010, Everton always plays Liverpool tough. While Liverpool has had the advantage in recent history, Everton forces Liverpool to earn it and they didn’t earn it today. Everton and Liverpool drew 0-0 at Goodison Park. 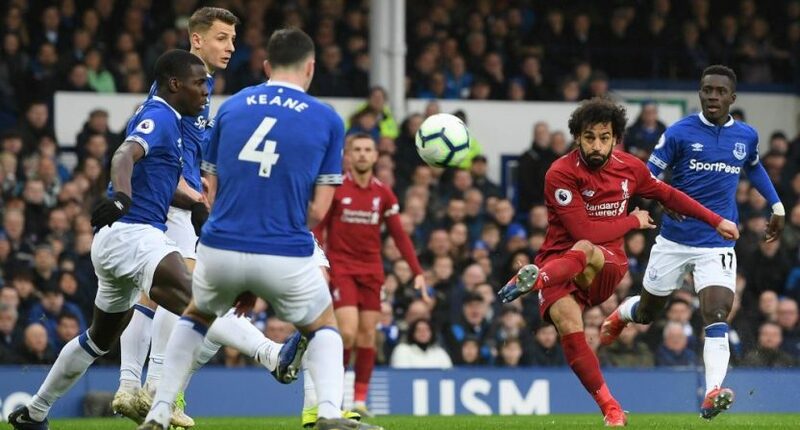 The draw kept Everton 10th but it was a much bigger blow to Liverpool, who now are a point behind Manchester City for the top of the Premier League with just nine games to go. The first half brought on a couple great Liverpool chances, one great Everton chance and a bunch of physical play. Mohamed Salah had the biggest chance of the first half as he found himself in a 1v1 against goalkeeper Jordan Pickford. Salah put himself in a difficult angle and Pickford was able to get the save. Salah didn’t have a terrible game but he did show a lack of star power that he has previously had. The chances he had and missed against Everton were sure goals in other games. Salah just didn’t have it today. Everton didn’t have as many chances but they had their moment in the 52nd minute. Dominic Calvert-Lewin got up on a corner and would have scored if not for Alisson lunging toward the corner of the goal to make the stop. That was Everton’s shot and it wasn’t to be. But while it was 0-0, Everton will leave the happier of the two teams because they knocked their rivals down behind Man City and give City the opportunity to control their destiny. Betting on that result in the online casino would have won some money. With nine games to go and both Man City and Liverpool bound to drop points on occasion, it’s still going to be a tight race. Things may change but at this moment, City has been able to find three points when they were looking like they would draw and Liverpool is getting draws. Liverpool may be doing a great job all year not losing but it’s crunch time and it’s all about getting three points in tough situations. City is doing that, Liverpool isn’t. If soccer isn’t your sport, maybe try checking out the best online slot games to win here!